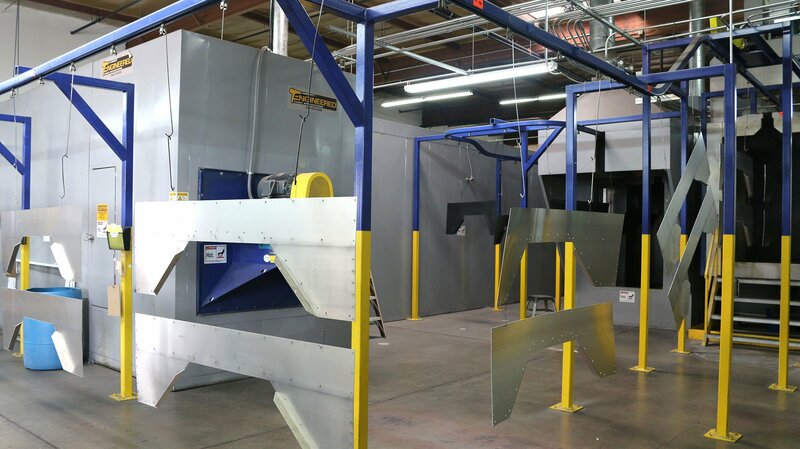 Pacific Powder Coating, Inc. is proud to offer state-of-the-art powder coating equipment. 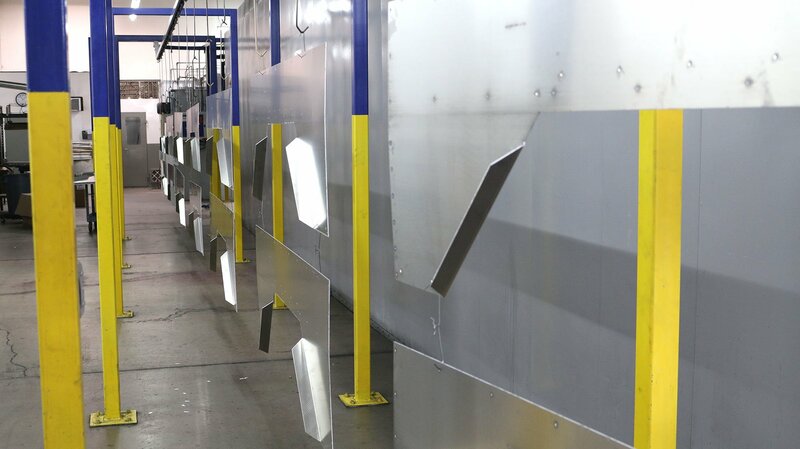 Our line utilizes the latest technology available in the powder coating industry so you can be assured that your parts will be finished using the best process available. Our line can handle a part that is 24 inches wide x 59 inches high and 5 feet long. It consists of a 597 foot enclosed track conveyor. Your parts will be cleaned in our automated five stage spray wash system that uses a cleaner phosphate combination with a R.O. water final rinse. 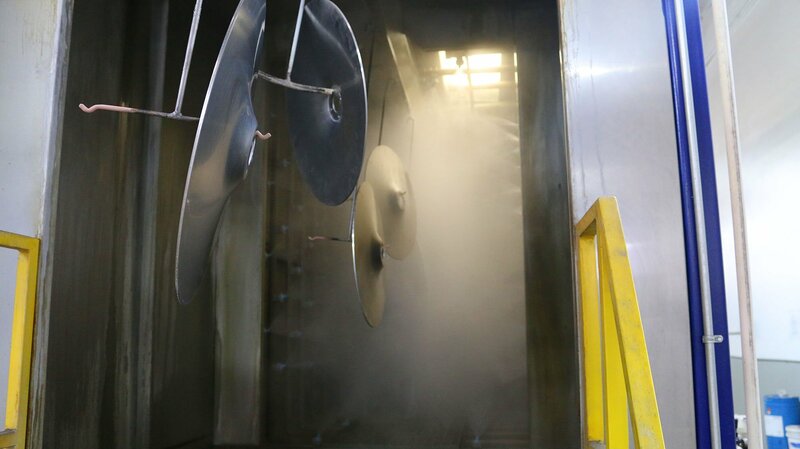 Once cleaned and pretreated, your parts will move into our natural gas convection dry-off oven with variable temperatures able to reach 450° F. They then move into a climate controlled powder application room where our powder coating technicians will spray the color of your choice with electrostatic guns. This state-of-the-art powder application booth provides us with quick color change technology which allows us to complete color changes in 20 minutes or less. 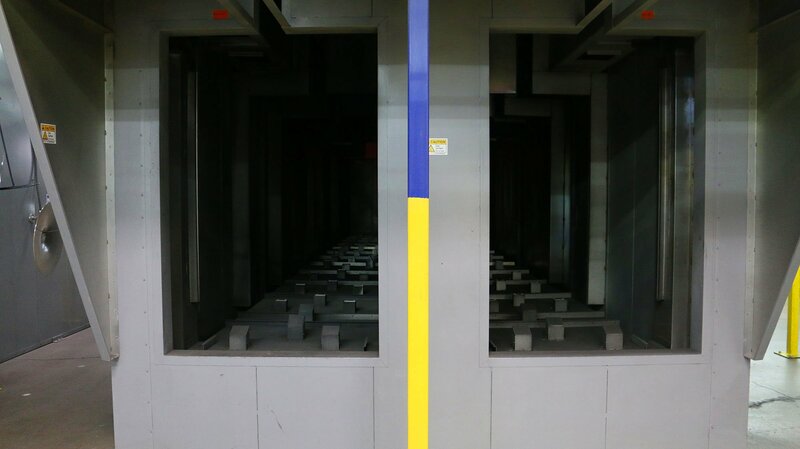 Once the powder is applied, it will move into the natural gas convection oven to be cured per the powder coating manufacturer’s specifications. 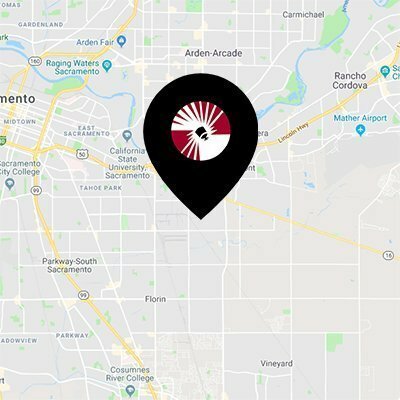 Pacific Powder Coating & Manufacturing is a leading provider of electrostatic powder coating, sand blasting and metal fabrication throughout Northern California and Silicon Valley.